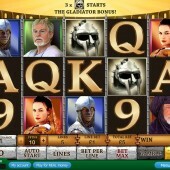 Based on Ridley Scott’s blockbuster movie, Gladiator slot is one of the best online slots to come out in a long while. Like other Playtech slots, they are not currently available to US citizens and won’t be until current gaming laws change unfortunately. 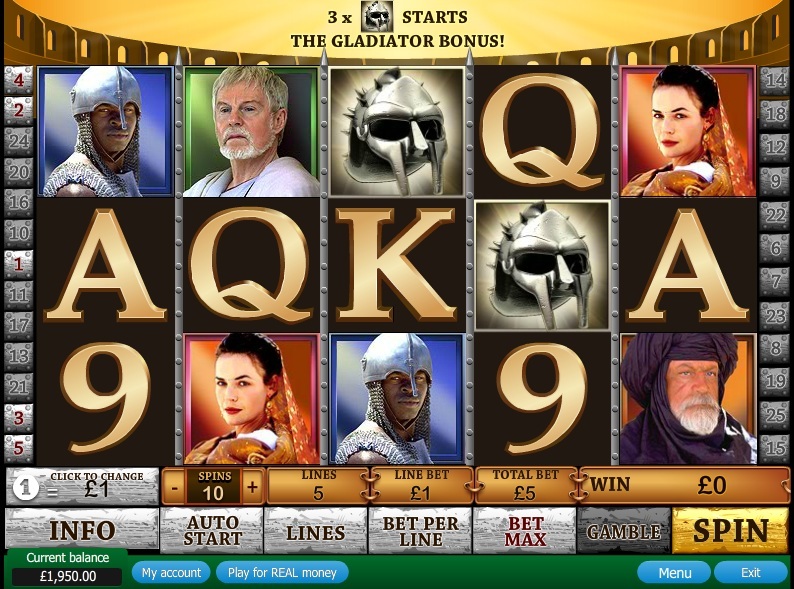 For those that have been fortunate enough to play Gladiator slot, you will know how engaging this game is. With actual footage from the movie and high quality sounds that build anticipation and excitement. It has been so successful that other movie-themed slots have been launched such as IGT’s Star Trek slot and Microgaming’s Black Knight slot, amongst others. Gladiator slot has two bonus rounds, which are triggered in different ways. By far the most rewarding of the two is the Coliseum Bonus, which is triggered by getting 3 or more Coliseum scatters symbols across any of the reels. When this comes in I get very tingly and I will explain why. You get to pick how many free spins you are awarded from a choice of boxes, you also choose the multiplier at random. If your selection is between 7-9 free spins then you also get to pick an extra scatter symbol and sometimes an extra wild symbol. As you can imagine this can be very rewarding, with the potential to retrigger the bonus round much higher. You can also pick up extra free spins when Commodus appears on reel 3. The other bonus round is the Gladiator Bonus which is triggered by getting 3 Gladiator wilds on reels 2, 3 and 4. This reveals 9 cash wins across these same 3 reels, which can pay up to 45x your stake. I am looking forward to the US laws changing for online casinos, as Gladiator slot is one that I love to play, although I have suffered a few heavy losses on it in the past.